BRAND NEW KENWOOD OEM GENUINE WIRE HARNESS. 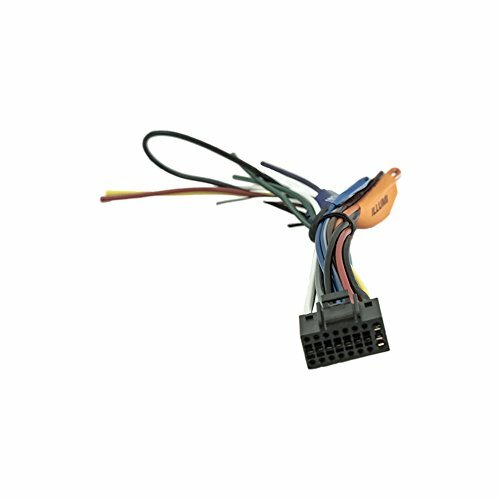 THIS WIRE HARNESS WILL WORK WITH THE FOLLOWING MODELS. KENWOOD DDX373BT KENWOOD DDX374BT KENWOOD DDX392 KENWOOD DDX393 KENWOOD DDX418 KENWOOD DDX419 KENWOOD DDX470 KENWOOD DDX471HD KENWOOD DDX491HD KENWOOD DDX492 PLEASE DOUBLE CHECK YOUR MODEL TO ENSURE YOU ORDER THE CORRECT WIRE HARNESS. THANK YOU FOR LOOKING AND GOOD LUCK. If you have any questions about this product by KENWOOD CORP, contact us by completing and submitting the form below. If you are looking for a specif part number, please include it with your message.